Welcome to the Forbidden Charm blog! 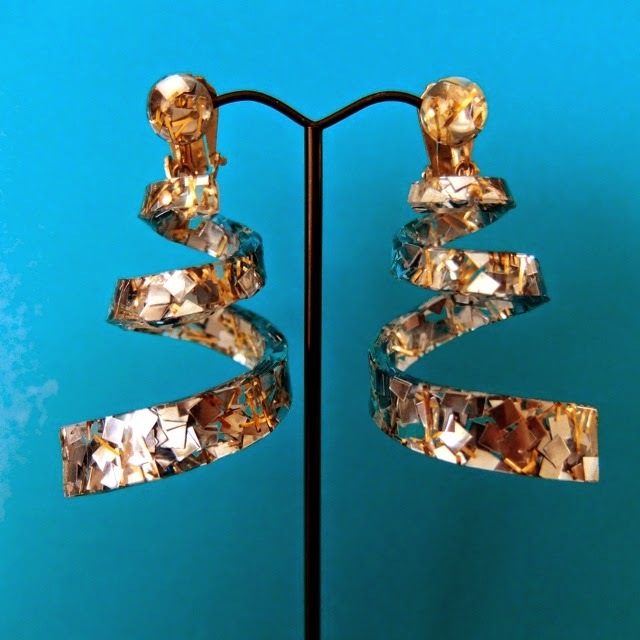 For my first post, I thought I’d go into a bit of background about myself and some of the many reasons why I’m obsessed with accessories – particularly earrings. When I was 12, my grandmother gave me a box of treasure. My grandma is one of those people who’ll give anything a go. When she wasn’t busy raising four kids, riding her motorcycle, league bowling or pistol shooting, she and my grandpa made jewellery together. Their prime jewellery-making years were the mid to late 1960s, so most of their work was chunky costume jewellery with big polished semi-precious stones. I never knew about their little jewellery enterprise until I was helping my grandma clean out some cupboards, and she found her box of supplies. I thought this huge brown Tupperware container was the greatest find in history! I used to make all kinds of creations from that Tupperware treasure chest, but I never realised all that ‘training’ would come in handy 20 years later. Original 1960s findings... Tupperware fresh! 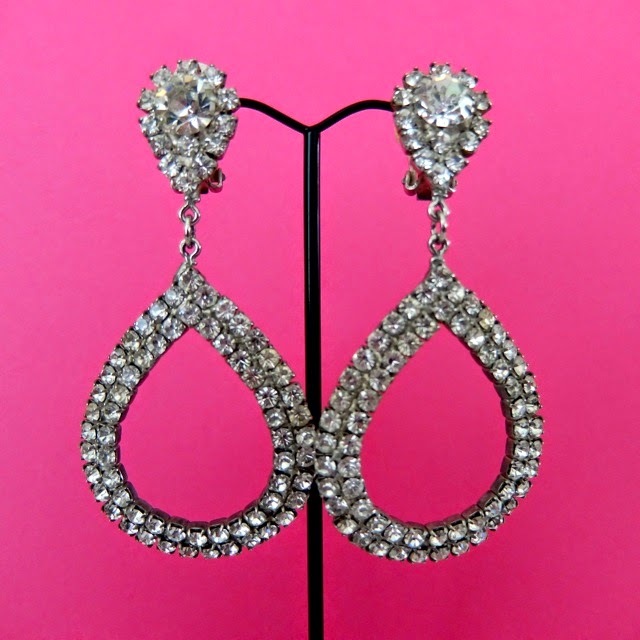 Vintage earrings hurt your ears. Okay, that’s a generalisation, but at least half my collection of vintage earrings are painful to wear. Naturally, the prettier the style, the more it hurts... Beauty is pain, right? There’s steps you can take to minimise the pinching, and I’ve tried them all - with varying degrees of success. Earring pads, loosening the clips and the position of the earrings themselves can all be useful, but I still have some earrings that are beyond help. With all the pressure points in your ears, I occasionally wonder what other body parts I must be torturing with painful clip-ons. But then I think about how good they look and that helps for at least another half hour. My most painful earrings. Also my most awesome. I’ve never had my ears pierced. Sometimes I feel like I’m the only one! My mum had a serious infection from having her ears pierced as a child, so she wouldn’t let my sister and I have pierced ears “until we were 16”. Ugh, so unfair! Of course, by the time we were old enough, neither my sister or myself cared about having pierced ears anymore. And then I started wearing vintage, and clip-on earrings are much more common, so it never mattered. But still, my accessory choices were more limited than most, so I decided to take matters into my own hands. Quick! Look at these earrings before I take them off and stuff them in my purse! Accessories make your life complete! I love thinking about accessories. I love to hold up an outfit and picture in my mind all the pieces I need to perfectly set it off. The only problem with this “hobby” is actually finding the pieces I can picture so clearly in my mind. And preferably vintage too. Over the years, I must have spent a bazillion hours on ebay and etsy, always searching for those essential but elusive pieces. I started making accessories for myself, and pretty soon, all my friends wanted them too! Before I knew it, I had started an etsy store. So that’s the story behind Forbidden Charm. 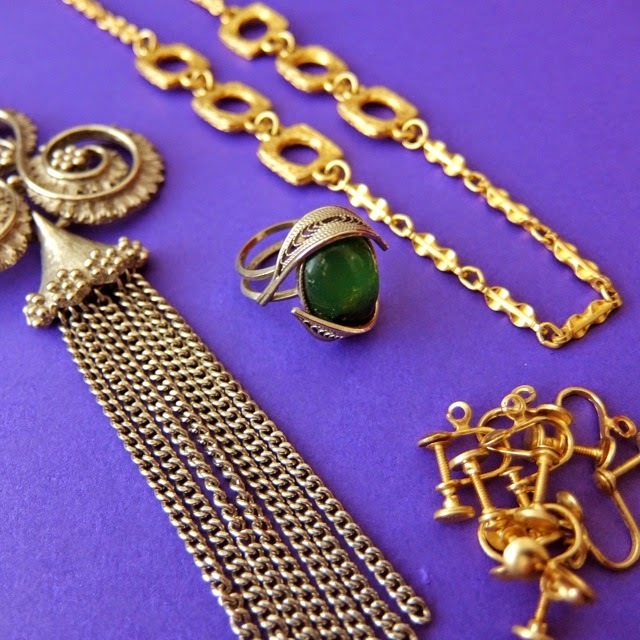 Vintage style accessories without the vintage problems… All designed to match your outfits, and available in pierced or clip-on. Just in case your mum wouldn’t let you get your ears pierced.